I am a collector of cookbooks, but it has not always been this way. My first cookbook was an early version of the Better Homes and Gardens New Cook Book , and I received a short, thick paperback copy when I went away to college. I’m pretty sure my parents gave it to me, but it could have been some other well-meaning high school graduation gift-giver. I remember thinking that it was such a sweet gift, and I put it on my bookshelf where it remained until I moved, then it went into a box with other kitchen items, then back onto the bookshelf in the next apartment. This cycle repeated more than a few times. I received another copy of the Better Homes and Gardens New Cook Book when I got married. That book, a larger hardback binder version with five metal rings holding the recipes inside, went onto the bookshelf beside its older, petite sister. They stood side-by-side for another five or six years, rarely moving off the shelf and definitely not getting the attention they deserved. Flash forward to today, when my kitchen shelves are filled, overflowing even, with stacks of loose recipes, ripped out of magazines, stashed on top of the tight stands of upright cookbooks. My collection overflowed into the living room, and gradually, my fiction hardback books have been moved up, up, up to the very top row to make room for the several shelves of cookbooks below. Because the cookbooks need to be reachable, you see, at a moment’s notice. Now, I read cookbooks for fun. I find inspiration and history in their pages. I remember when we first made that lemon tart recipe from the one cookbook and when I made the peach cobbler from the other. I’ve not cooked from many of them – from most, truthfully – but I have learned from each one. And they all stand ready to teach and guide and inspire, whenever I need it, like friends and mentors. Not long ago, a new cookbook arrived at my home, a complimentary copy sent to me by the book’s publisher, Phaidon. What to Bake & How to Bake It , by Jane Hornby, was stunning: a big, heavy hardback, with beautiful illustrations and gorgeous step-by-step photography. I am drawn to unique design and simply styled food, and this book had both. Hornby gives step-by-step instructions for each recipe along with helpful tips and substitutions to make the baking easier or more flexible. 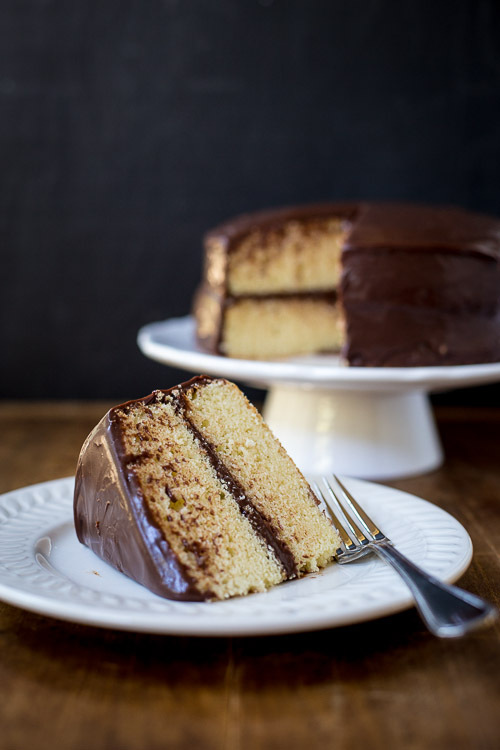 Though I’ve only made a few recipes from the book (including this spectacular vanilla sponge cake with chocolate frosting), I have read it, cover-to-cover, at least twice. I have many other recipes bookmarked, like the carrot cake with cream cheese frosting on page 92, the coconut layer cake on page 142, and the whole orange and almond cake on page 202. Now, this cake. I’m a big fan of this cake. The layers baked up tall and golden. The cake rose so evenly that it didn’t require much trimming – though I couldn’t help myself, since I like a very even and symmetrical cake – but I am so glad I did. I folded a piece of trimmed cake into my mouth and was immediately struck by how moist and light the sponge cake was. 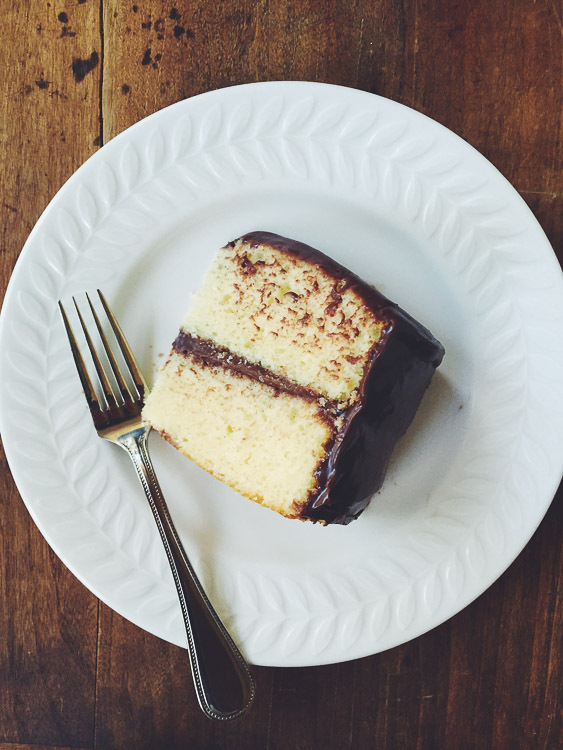 The cake was fantastic when frosted, but the sponge cake alone would make for a fine dessert, perhaps topped with some whipped cream and berries. But you know me: I frosted the pretty layers with chocolate frosting, because everything is better with chocolate. And I ate all of those trimmings, too. This moist butter cake is on page 46 of Jane Hornby's What to Bake & How to Bake It , and is reprinted with permission for you here. In the cookbook, Hornby layers the cake with strawberry jam and buttercream on the inside and a dusting of powdered sugar on the outside. As an alternative, however, she suggest pairing it with chocolate frosting. So I did. Preheat the oven to 350°F. 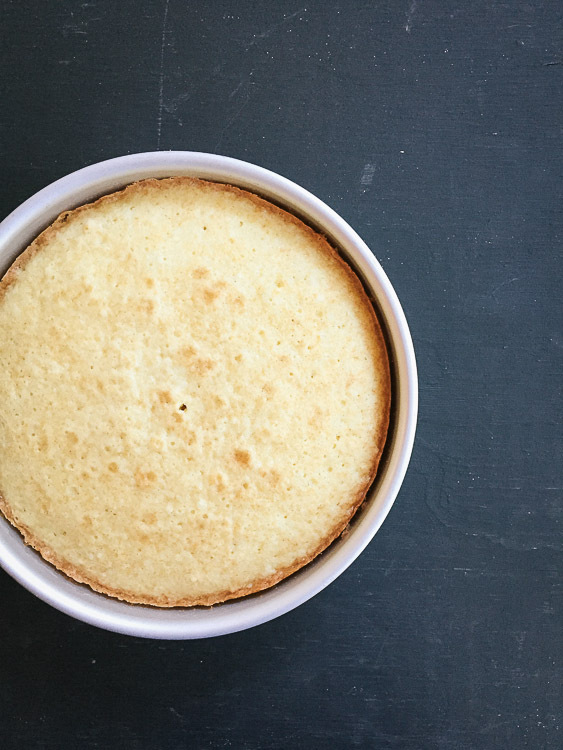 Use a little butter to grease two 8-inch round cake pans with removable bottoms, then line the bottoms with parchment paper. 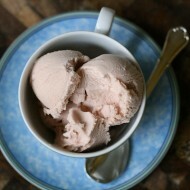 Put the butter and sugar in a large bowl, then beat with an electric mixer until creamy and very pale. Crack the eggs into a measuring cup. Pour 1 egg into the bowl with the butter and sugar, then beat it into the creamed butter and sugar mixture until it looks fluffy and light. Add the next egg and repeat. If the batter starts to look a little slimy at any point, beat in 1 tablespoon of the flour. Stir the flour, cornstarch, baking powder, and salt together in a bowl. Put the milk, vanilla, and oil in the eggy cup (to save washing another dish). Sift half of the flour on top of the batter, then fold in the milk mixture using a spatula or large metal spoon. Finish with the rest of the flour mixture and keep folding until you have a thick, smooth batter. A big blob of batter should drop (but not slide) away from the spatula if you give it a little shake. If it seems to stick on, then the batter may be a little dry; add 1 tablespoon more milk. If you want to make this cake more quickly, cream the butter and sugar together as in step 1, then add the rest of the ingredients, plus an extra 1 teaspoon baking powder, and beat them in with the electric mixer, taking care not to overwork the batter once it looks smooth and creamy. Cakes made this way can have a slightly less delicate texture and a lower rise, but if you’re in a hurry, then go for it. Scrape the batter into the prepared pans and smooth the tops. For a nice, even cake, try to ensure each one has about the same amount in it. Bake for 25 minutes, or until the cakes are golden, have risen, spring back to the touch, and a cake tester or toothpick inserted into the center comes away clean. If the cakes are browning unevenly, they can be safely turned around after about 15 minutes, or once they have risen evenly and the surface looks dry. Be quick while you do this, to preserve heat in the oven. Let cool in the pans for 10 minutes, then turn out. Peel the parchment paper from the bottom, put this on the cooling rack crumb-side down, then put the cakes on top. Pour the condensed milk and cream in a saucepan and stir it over low heat until it starts to bubble at the edges. Take care and keep stirring, as it can easily stick on the bottom. Break up the chocolate into squares while you wait, then chop it fairly small. Cut the butter into cubes. Remove the pan from the heat, add the chocolate, butter, and vanilla, then let melt, stirring now and again. It will thicken as it cools. Beat it occasionally, until thick and fudgy and completely cooled. To frost cakes, ensure the cakes are at room temperature. 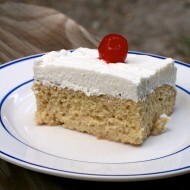 Place 1 layer on a cake plate. With an offset spatula, spread top with chocolate frosting. Place the second layer on top, and spread frosting evenly over top and sides of cake. 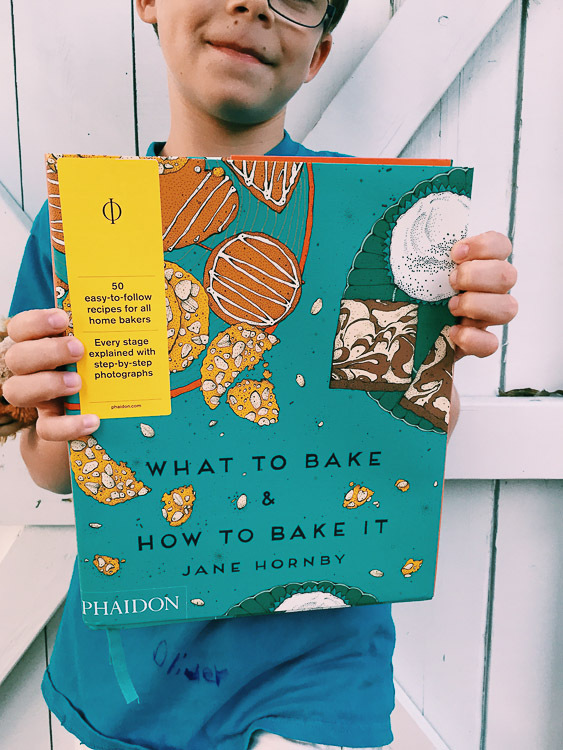 Adapted from What to Bake & How to Bake It by Jane Hornby (Phaidon, $35.00), reprinted with permission from the publisher. Ouch, that must have been hard. I am a social worker and often come home after listening to so many sad stories to cook. It’s kind of conflicting but also comforting. You’re doing more than most by just being there to listen, so keep it up sister. What a sad situation. Your patients are fortunate to have such a caring physician. 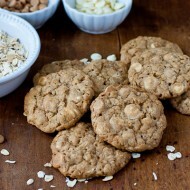 The cookies do look so comforting and delicious. I think you’re a superhero! I know so well, what it’s like to be on both sides, the needing and the giving. I bet he’s grateful and perhaps you gave him some hope and for certain put as smile on his heart for that moment. I don’t know how you do what you do, but I am so glad it’s you who does it. I’m not a religious man, but you are an angel darling. I mean that. I’m sure that meant the world to him. It wasn’t trivial at all. He needed those mess and you provided that to him. Gosh MJ, yours is a hard job. I think the way you handled the situation was lovely. Poor man, to be suffering with cancer and losing his home, I feel so distraught for him. Your cookies sound delicious, if anyone is in need of a cookie it must be you. I’m not sure that I would have the strength to do what you do, you are a pretty amazing person. You are a wonderful, caring person and a credit to your chosen profession. That gesture represented so much more than money for medication to your patient. While $20.00 seems inadequate to you, the compassion you showed your patient gave him a small peaceful pause in a stressful situation. Good on you! My heart always hurts for anyone struggling like this. MJ, your storytelling is beautiful, even though the situation isn’t. And those are my kind of cookies. Comfort on a plate. I can’t imagine how difficult that must have been, to be so close to human suffering on so many levels. You are a blessing Merry Jennifer. Heartbreaking. Thank you for sharing his story. The smallest acts of kindness are sometimes the most memorable..that was wonderful. My sister is a doctor in geriatric medicine in Tampa and I hear similar stories and it does break our hearts. How helpless we feel and so wish there was a way we could do more. Maybe a plate of homebaked cookies, as trivial as it seems, on the corner of your desk could at least bring a temporary smile to someone’s face. And that is wonderful. Lovely storytelling rich with compassion and truth and even the seemingly smallest of gestures matter!